J.C. Penney's stock is down 35% this year. Activist investor Bill Ackman is not happy. It's been a rough year for investors in J.C. Penney. The retailer's stock was reeling Friday, one day after it soared on news that activist investor Bill Ackman wants the company's CEO Myron (Mike) Ullman and its chairman Thomas Engibous out. Shares of J.C. Penney (JCP) are down 35% in 2013. Although investors liked what they heard from Ackman in a letter he released publicly on Thursday, it was a different story once Ackman went on the attack again Friday. Ackman lashed out at J.C. Penney's board of directors in a 5-page letter and said that he has not been getting access to the company's financials. Ackman, who has a big stake in the company through his Pershing Square hedge fund, serves on the board. 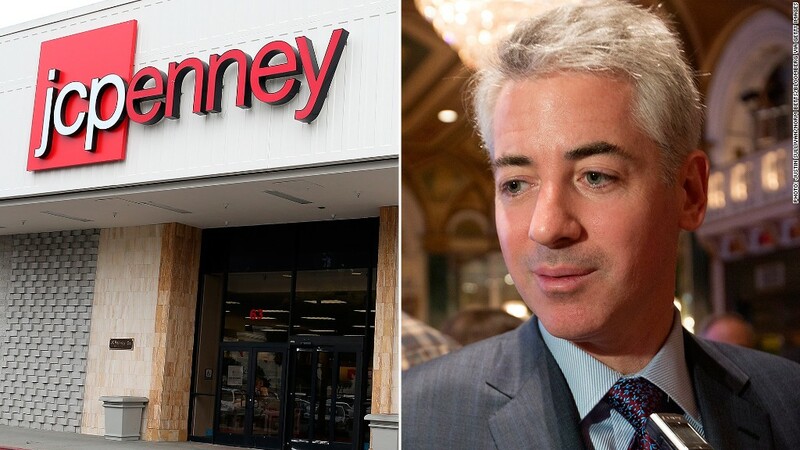 "I think J.C. Penney is at a very critical stage in its history and its very existence is at risk," Ackman wrote in the letter Friday. Ackman said that Allen Questrom, another former CEO of J.C. Penney, should be brought back as chairman of the board to run a search process for the new CEO. J.C. Penney's board shot back at Ackman after Thursday's letter. "The Company has made significant progress since Myron Ullman, III returned as CEO four months ago, under unusually difficult circumstances," the board wrote in a letter of its own. The board added it still supported Ullman as CEO. The company didn't return calls for comment on Ackman's latest letter. It's yet another calamitous turn of events for J.C. Penney, once one of the leaders in the retail sector. Two years ago, Ackman pushed out Ullman and recruited Ron Johnson, who had served as Apple's (AAPL) head of retail. Johnson's tenure at J.C. Penney was tumultuous and ultimately ended up with the company's board pushing him out. Even Ackman agreed with that decision. Ackman has been busier than usual this year as an activist. He successfully pushed for the ouster of Procter & Gamble's (PG) CEO and brought back the consumer goods company's former CEO. However, Ackman has also been waging war against nutritional supplement company Herbalife (HLF). He has shorted the stock and has argued that the company is a pyramid scheme. But Herbalife's stock has more than doubled this year.